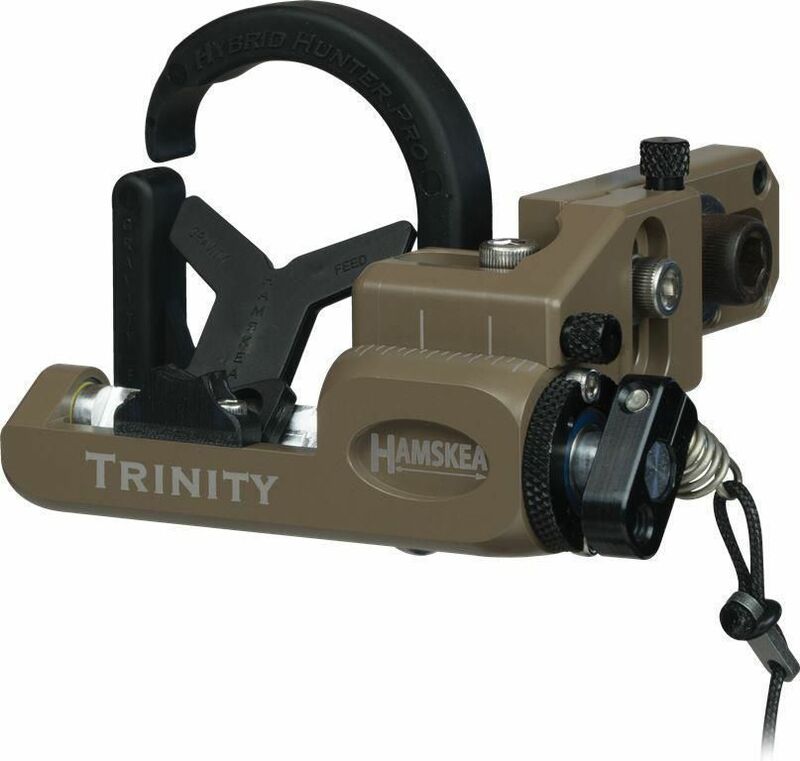 When designing the Trinity Hunter Pro, Hamskea wanted to offer the most consistent actuated rest the archery world has ever seen. With Tri-bearing technology, the carrier rod is supported by 3 sets of sealed stainless ball bearings providing the ultimate in reliability while still having an ultra smooth actuation. The Trinity series will also come with our patent pending Easy Glide cord tensioner for easy adjustment of the activation cord without the need for tools. The Trinity Hunter will feature our over molded containment bracket and launcher. The Trinity will also include all of the features that have made Hamskea Arrow rests the most adjustable and easiest tuning rest on the market including launcher pitch adjustment, torsion spring adjustment, our inline dampening spring, and all metal construction.